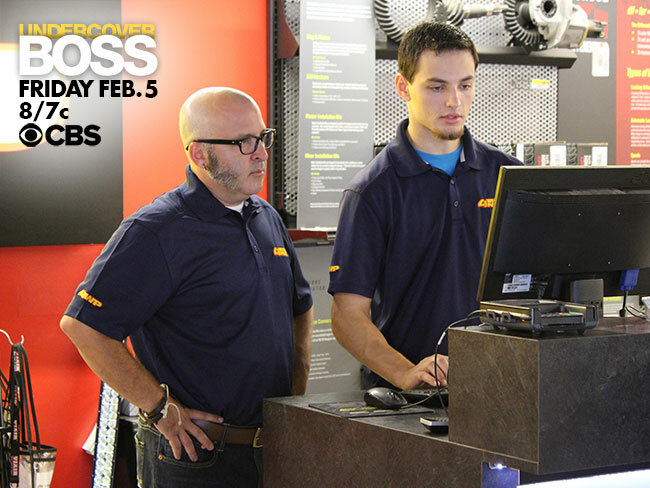 Greg Adler, President and CEO of 4 Wheel Parts, the global leader in truck, Jeep, SUV and off-road tires, wheels, lift kits and accessories, goes undercover to meet the employees who keep the company on the right track, on UNDERCOVER BOSS, Friday, Feb. 5 (8:00-9:00 PM, ET/PT) on the CBS Television Network. During his undercover mission, Adler worked alongside employees performing a variety of jobs that represent key aspects of the company’s retail sales and distribution operations. 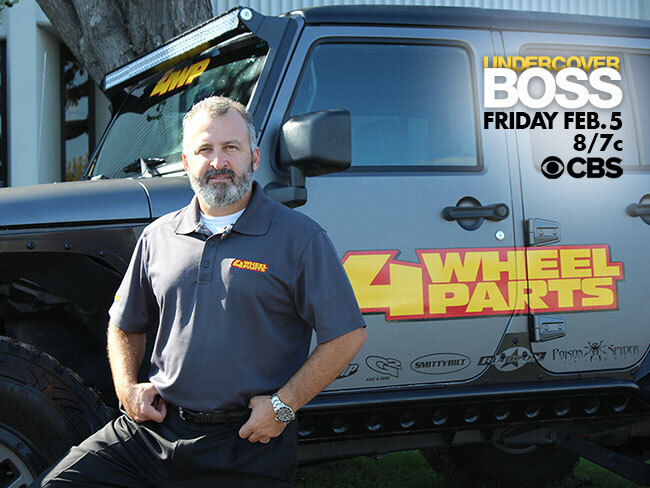 Most importantly, going undercover reinforced the importance of family to me and reminded me that as the business grows, we continue to keep the feeling of family that is the legacy of 4 Wheel Parts. About 4 Wheel Parts: 4 Wheel Parts is the global leader in off-road truck, Jeep and SUV aftermarket performance products. With 72 locations across the U.S. and Canada and growing, 4 Wheel Parts Service Centers install all the products they sell. Maintaining the nation’s largest inventory of off-road parts and accessories from manufacturers including Smittybilt, Pro Comp and Rigid Industries, 4 Wheel Parts serves customers across the country and around the globe. Life is Better Off-Road™. Visit them at 4wheelparts.com or call toll-free 877-474-4821.